Abdullah Athayi, LL.M, has been working as program coordinator for Foreign/Security Policies & Democratization with the Heinrich Böll Stiftung’s office in Kabul. Prior to this, he worked as Legal Manager at Electoral Complaints Commission (ECC) for 2010 Parliamentary Election and as Deputy Director for Human Rights and Eradication of Violence Organization since 2009. He holds a Master Degree in private Law from Ahl-e-Bet Institute of Higher Education in Iran and a Bachelor’s Degree in Law and Political Sciences from Kabul University. Previously, as an independent research fellow and as writer, his research areas concentrated on human and women rights, elections, good governance with a particular focus on youth and women participation for local newspapers as well as for national and international organizations. 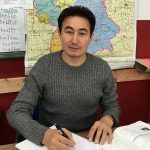 As technical advisor, he contributed to numerous online and printed research, articles and publications during his career with Heinrich Böll Stiftung in Afghanistan. Selected publications: Human Rights Manual for Afghan Uniform Police Learners, co-authored with a group of Human Rights Specialists, From Transition to Transformation-Women, Peace & Security, online publication 2015, Afghanistan Transition in the Making- Policy Brief &Updates 2012, co-authored with Prof. Dr. Andrea Flenchenberg, Shaping the Future-Women Participation in 2014 Election and Youth Political participation with focus on 2014 Presidential Elections etc.